I was extra crankin' pants at Samantha's. She showed my mom the bouncing leg maneuver. She still loves me even though I barfed on her sweater and made out with her knee. 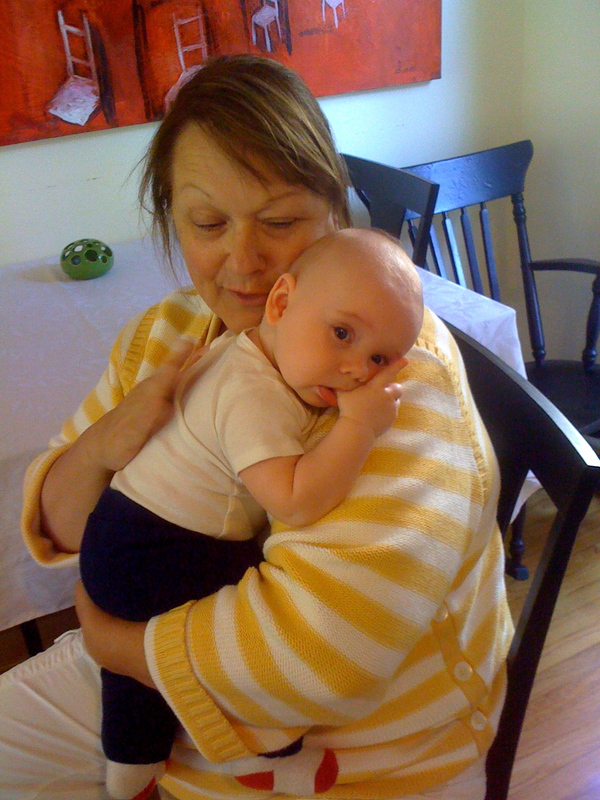 Mom was about to meltdown when Great Aunt Sharyn saved the day! 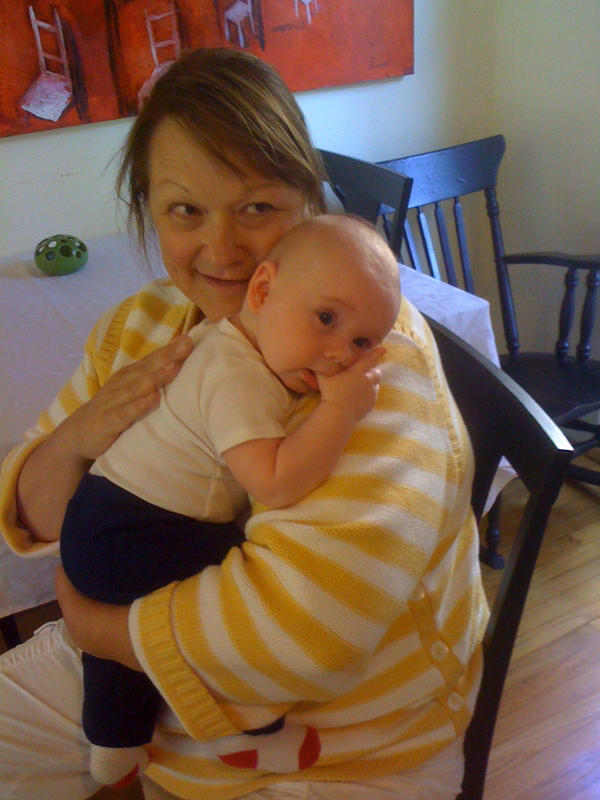 She is a baby expert. I had a front row seat to watch my mom bake cupcakes. Then I passed out and Aunt Shayno put me in the co-sleeper. 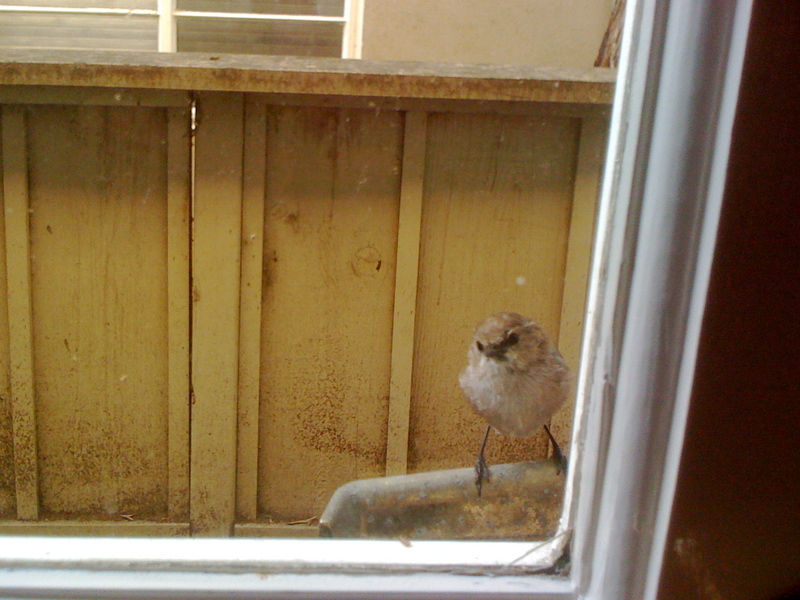 This baby bird was waiting on our back porch to say good morning. Still had downy feathers. Mom was terrified it was hurt or lost, but it happily hopped and flew away soon enough. 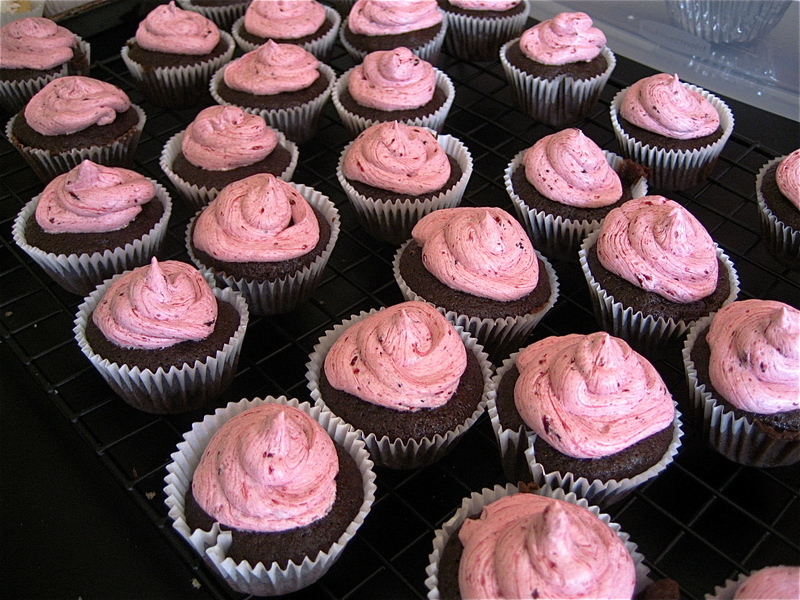 Vegan chocolate cuppycakes with black cherry frosting, for the midwives. 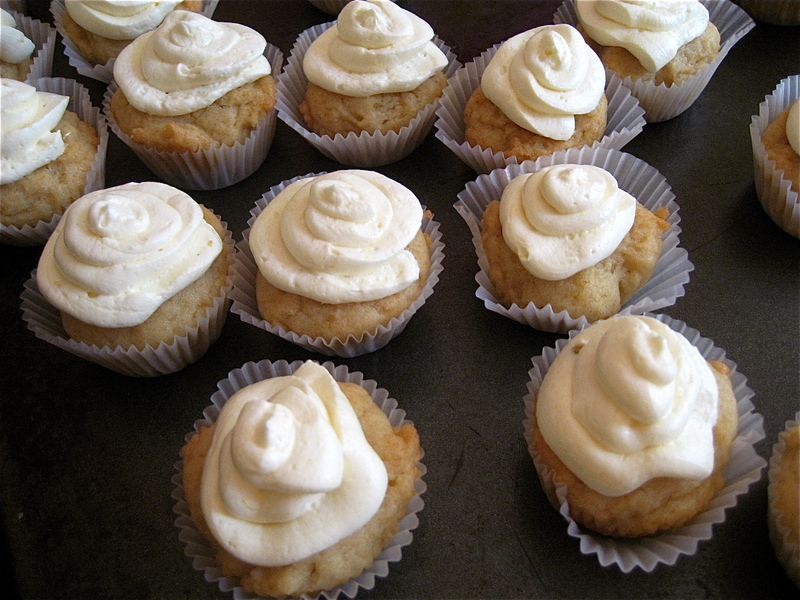 Vegan mango cupcakes with almond mango icing, for the midwives. 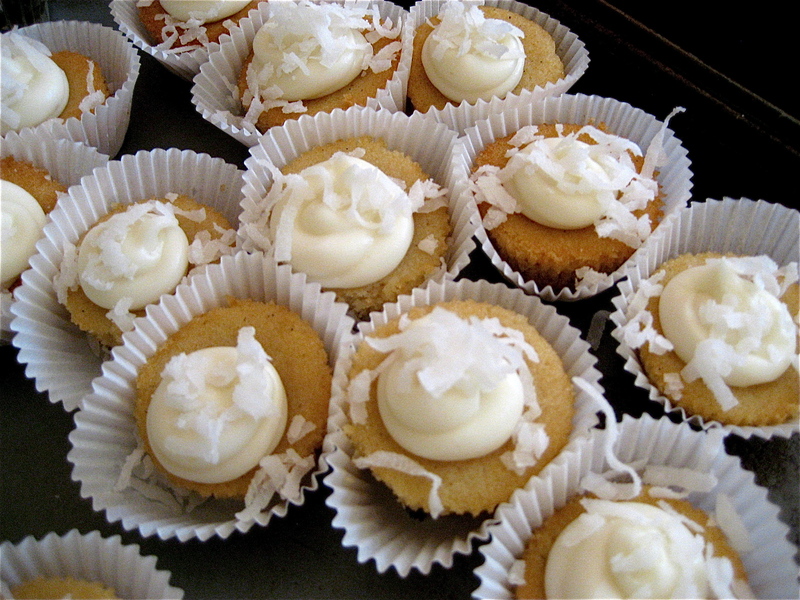 Vegan coconut cupcakes with coconut frosting. For you know who. So it seems we are on constant teething alert. The pain comes and goes, and we always have to play the guessing game (Tired? Hungry? Wet? OR Teething?). I’ve resorted to baby Motrin a few times after the Humphries Teething Tablets did nothing. I don’t feel great about giving him medicine, so now we’re going to try Camilia, which is homeopathic. Heard good things but I’m skeptical…we’ll see. Was SO excited to make these cupcakes for a midwifery conference this weekend. Guess I’m ready to get cookin’ again! If you know anyone whose looking for some culinary assistance, please send them here. I’ll give ’em some love.